Confession-time: I am a clothes hoarder. I get such great deals with clothes that I hate to part with them! Especially since I’m always thinking of ways to re-style pieces. Every time I go to get rid of a piece of clothing, I automatically start listing the reasons in my head I should keep it–always at the top of the list is that it would be more expensive to buy again if I needed something similar in the future. Anyways, on Friday, I mentioned a blog that I’ve really been enjoying lately by Katie over at Cup of Tea. She has been doing a 30 day outfit challenge, where you take 30 pieces from your wardrobe and make 30 different outfits over 30 days. I’m way too nervous to limit myself to just 30 pieces of clothes, but it has definitely got me thinking about the best ways to re-wear certain pieces. 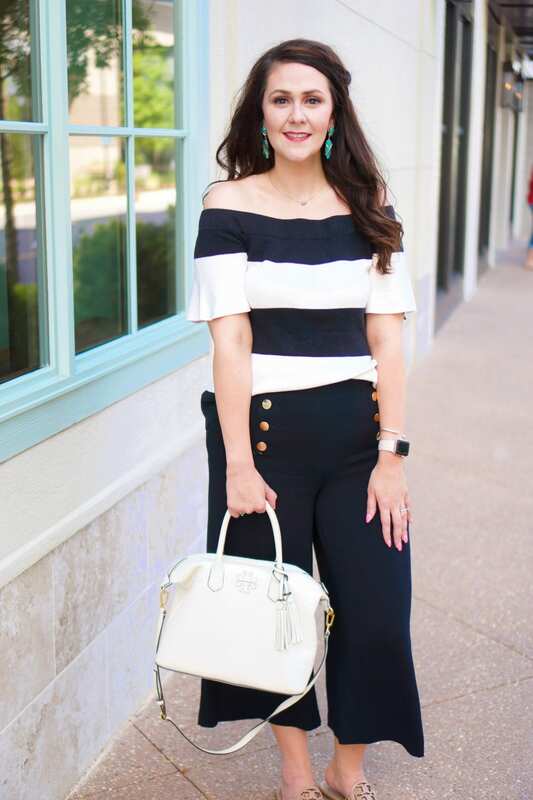 So I think I’m going to start doing a Wardrobe Re-wear post every so often, and share with you 2 different looks that both feature the same piece of clothing. By re-wearing your clothes, you’re getting more of your money’s worth out of them! If you think outside your usual outfit pairings, you may not feel the urge to buy new clothing pieces all the time. If you follow me on Instagram, then you know I wore this outfit to work today. I really like the brightness of the shirt paired with the cream-colored skirt. The shirt is a size too big, but it was the only size I could get my hands on. After work, I headed over to my friend Brittany’s house for craft night! I always have so much fun, and it’s nice to catch up:) I needed a fast outfit change, and was going for something more relaxed. Pairing the popover with a pair of khaki-print shorts was quick and easy! 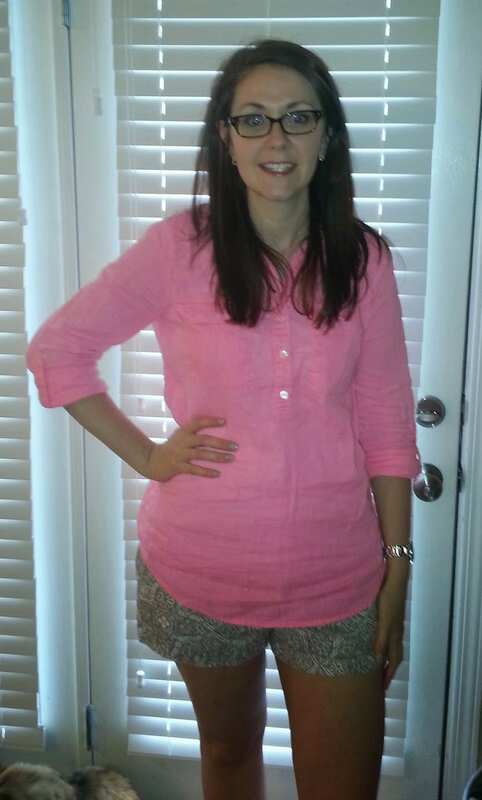 Shirt- Old Navy, details here. 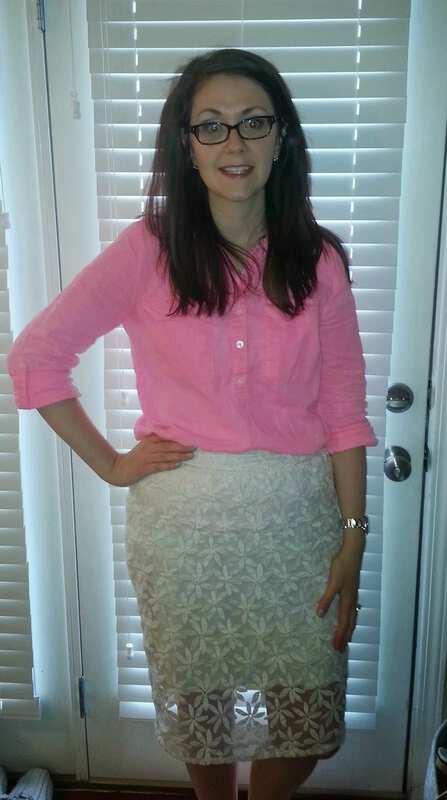 Skirt- Maurices, clearance from last summer. PS- the fluff ball photobombing in the bottom left corner is Gizmo, one of our kitties. I’m really liking both of these looks, and I’m really excited I found some new ways to wear this shirt. I challenge each of you to try the same, and let me know how it goes–even better if you try to find new ways to wear a piece of clothing you used to hate! 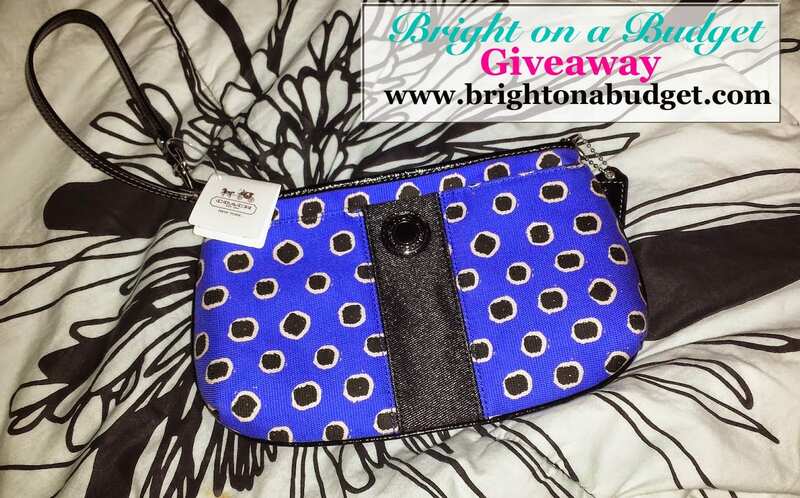 Don’t forget the Coach wristlet giveaway–enter to win here! I love the idea of a wardrobe re-wear; I have to admit, as a teacher I do this frequently! I actually have an extremely similar shirt (only in mint) I purchased on sale from the Gap Outlet at the end of last summer (it was marked down from $49.99 to 2.50! It was a crazy, awesome sale!) I usually pair mine with either khaki shorts (or khaki slacks if I'm at work) or a pair of white capris. To add more color, I usually wear a periwinkle tank under it. I was amazed at how pretty the two colors were paired! I'm going to steal your idea (if you don't care) and pair it next with a white skirt I have next. Thanks! You're welcome! Just wanted to give credit since your blog inspired this idea. I'm looking forward to working in these posts every couple of weeks now. That's awesome, Belinda! Haha… when you only spend $4 on sunglasses, it's okay to treat them like disposables.